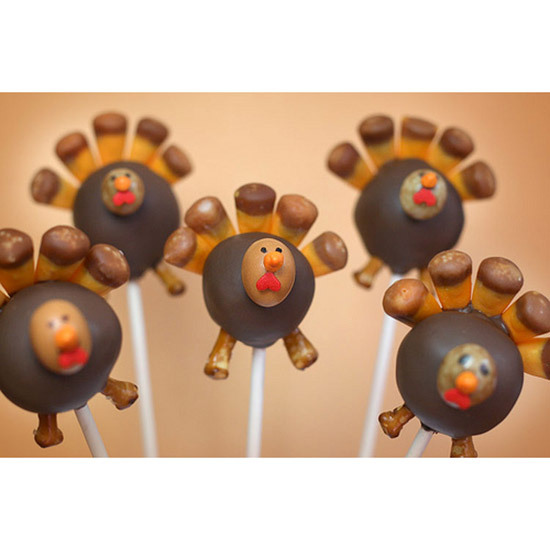 From cupcakes to chocolatey treats, these turkey-themes sweets will make the Holidays even more enjoyable. 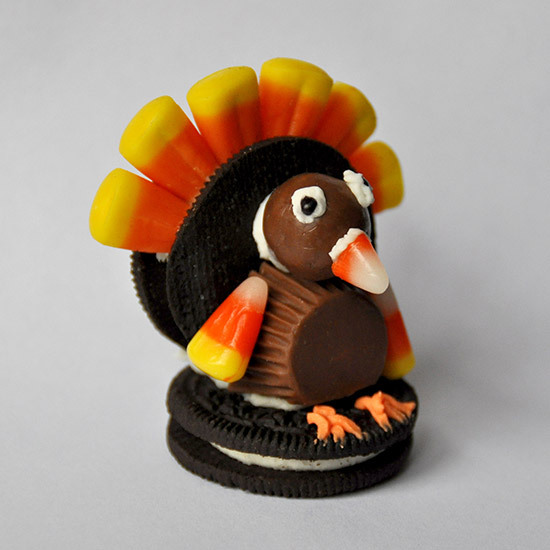 Vital components: Whoppers malted milk ball head, Oreo cookie body and candy corn feathers. Vital components: Coated espresso bean head, pretzel stick legs and a heart-shaped sprinkle for the wattle. 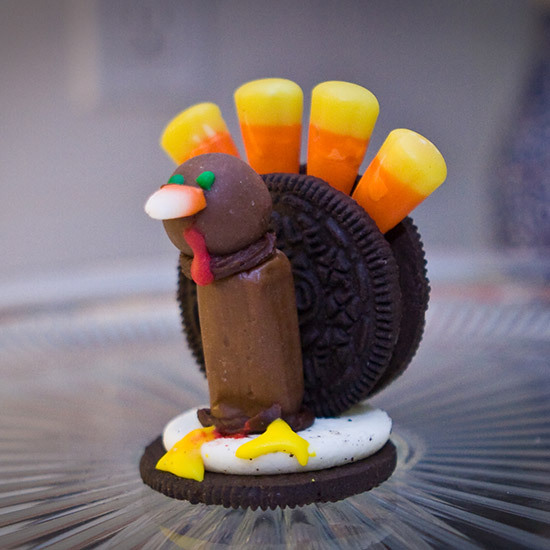 Vital components: Tootsie Roll and Oreo cookie body, plus candy corn feathers. 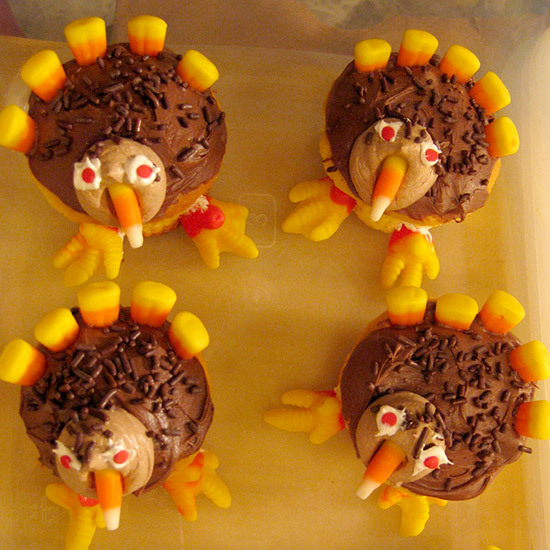 Vital components: Candy corn plume and beak, plus cupcake body. 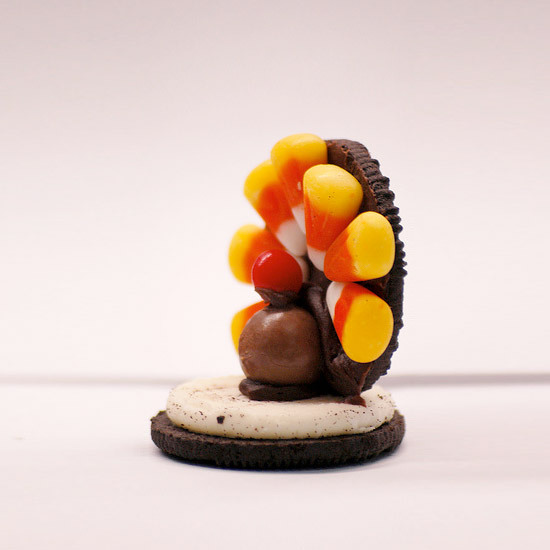 Vital components: Oreo Double Stuf cookie back and stand, Whoppers malted milk ball head, and Reese's Peanut Butter Cup Body. 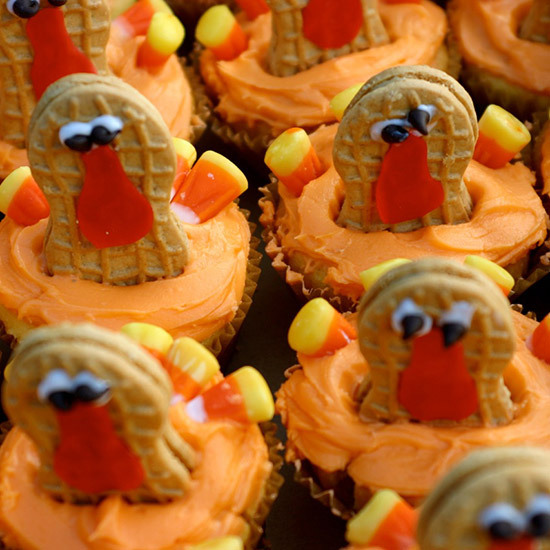 Vital components: Nutter Butter head, candy corn wings and cupcake body. 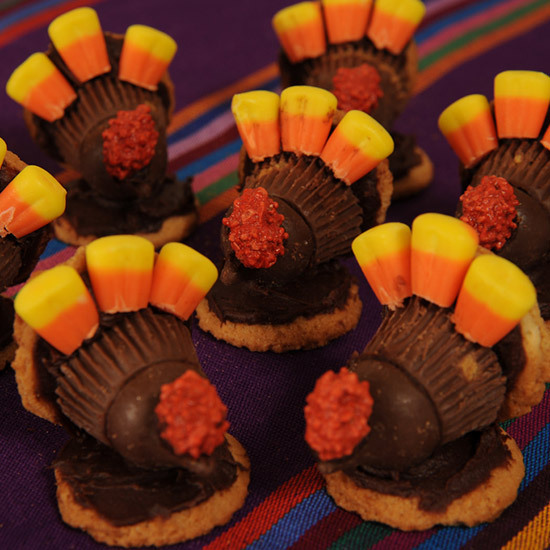 Vital components: Hershey's Kisses head, Reese's Peanut Butter Cup body and candy corn feathers. 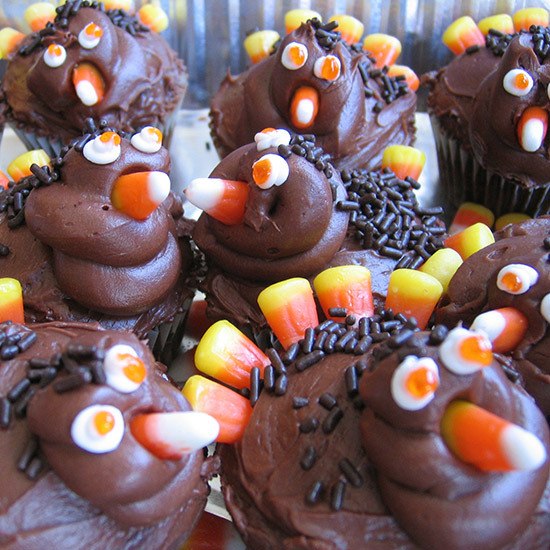 Vital components: Chocolate frosting head, candy corn feathers and beak.